Interested in buyers from African countries Only. With an intention to enhance the standing we have built, we are occupied in offering a wide collection of Inverter MIG Welding Machine. BENDING TWO BENDING MACHINE FROM DARLEY & AMADA. - Bending Machine can bend more than 25 bend sat a time with the help of its unique six axes CNC program. - Bending capacity of the machine is 3 meter x 4 mm mild steel and 3meter x 2mm stainless steel. - Machines equipped with Four-Roll drive mechanism for kink free Wire Feeding. - Digital display for Voltage & Current. - Easy accessible PCB Cards for easy maintenance. - Heavy duty design with 20m Inter connecting Cable capability. We offer superior quality range of Steel coiled liner and which are insulated for its better strength. Liner plays a vital role in welding torches as it guides the welding wire from the Wire Feeder to the torch. 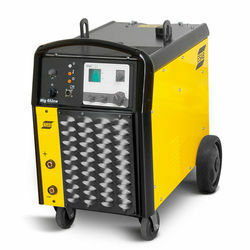 Far-famed for the outstanding range of MIG MAG Welding Machine; we are a leading name in this trade. Smart logistics network, speedy services, and reliable transit facilities have enabled us to furnish safe and time bound deliveries. - Effective for preventing dust.Suitable for the high-temperature environment. 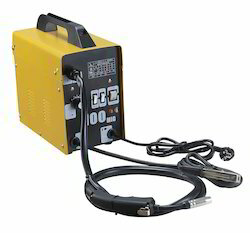 - Energy saving function-the main contactor will be automatic disconnected when the welding torch release for 5 minutes.